it spent $42 million: it reported $185 million in assets. Kevin MacDonald has remarked that Jewish operations of this type devote what to outsiders seems an inordinate amount of energy in mutual self-congratulation — some kind of bonding process apparently. The JFNA’s particular contribution for the past three years has been running an online poll to select the “Jewish Community Hero of the Year”. Last year over 300,000 votes were cast. We stand by our Muslim friends and neighbors against anti-Arab and anti-Muslim bigotry. 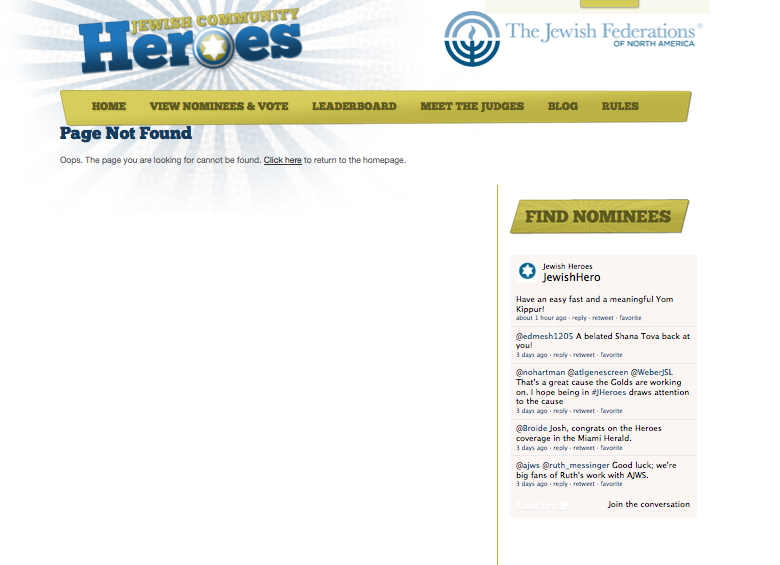 As I write Rabbi Friedman is 5th in the “Career Heroes” section. As I write, Mrs. Rubashkin is still first in the “Volunteer Heroes” section. For outsiders, it is not a surprise to find Jews hero-worshipping objectively bad apples. It is clear that the adulation of Bernie Madoff was despite (possibly even because) many fellow Jews thought he was able to break the insider trading rules with impunity. Jewish White collar criminals are routinely welcomed in the Jewish community, typically along with generous donations to Jewish causes. But what is worth remark is the willingness of the JFNA to look like Stalinist political police, to prevent Jewish Voice for Peace getting any publicity. This is another indication of Jewish antipathy to free speech, either in their own communities or the wider society. Obviously Cecilie Surasky, representing a minute segment of Jewish opinion, was never in the end going to do very well once more usual Jewish voting was energized. But the JFNA felt it had the power to repress all discussion — so it did. Mayor Bloomberg’s abuse of power over the Republican Debate stems from a long tradition. This being so, non-Jewish opinion is certain to get short shrift. prominent supporter of the Boycott, Divestment and Sanctions movement, journalist Max Blumenthal remains on the nominee list. Anyone willing to give a real email address can vote.